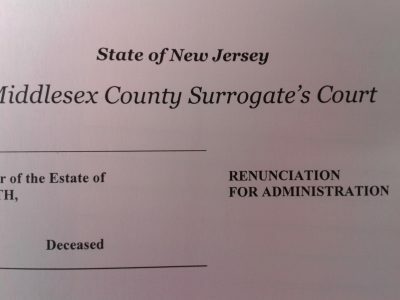 New Jersey Probate Law and Estate Litigation: What is Notice of Probate? 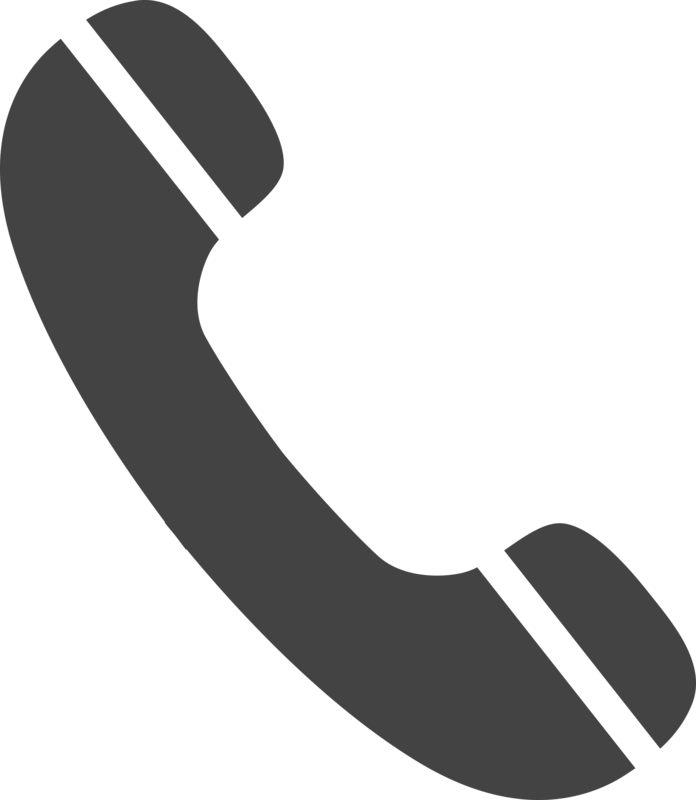 (732) 634-5512 - Justin M. Smigelsky, Esq. of Timothy J. Little, P.C. 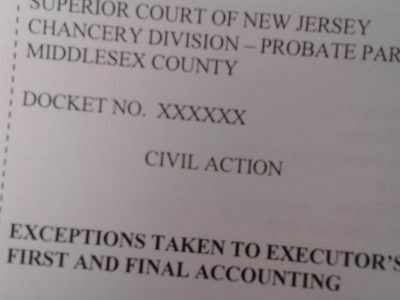 New Jersey Probate & Estate Litigation: What is Notice of Probate? 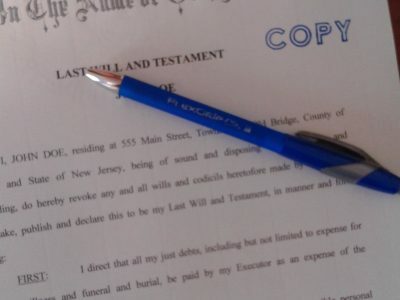 ← New Jersey Probate & Estate Administration: What Is Intestacy? Pursuant to the Rules of Court, the personal representative of an estate is required to mail, within sixty (60) days of the probate of a will, notice in writing that the will has been probated. The “notice of probate” must be sent to the decedent’s spouse, heirs, next of kin, other persons (if any) entitled to letters, and all beneficiaries under the will. Such notice must also contain additional information including, but not limited to, the place and date of probate and the name and address of the personal representative. 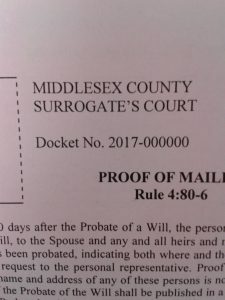 Within ten (10) days of mailing, proper proof of same must be filed with the Surrogate. If the name or address of anyone entitled to notice of probate is not known, or cannot by reasonable inquiry be determined, then it may be necessary to publish the notice in a newspaper of general circulation in the county naming or identifying those persons as having a possible interest in the probate estate. 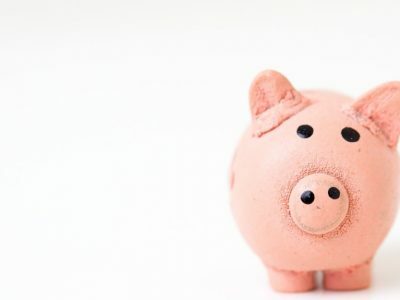 Additionally, in the event that any property in the will is devoted to a present or future charitable use or purpose, like notice must be mailed to the Office of the Attorney General. 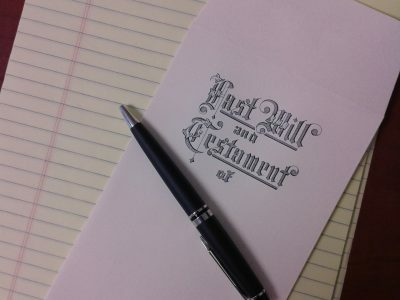 In this instance, the Attorney General is entitled to a copy of the will with the notice, and it may be necessary to continually involve the Office of the Attorney General in the administration of the estate. 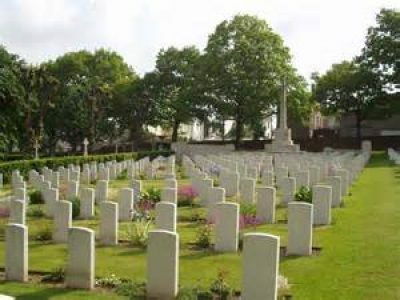 Although failure to provide the necessary notice of probate will ordinarily not render the probate judgment void, failure to provide the required notice could be of significant consequence, especially in the event of a will contest. Timothy J. Little, P.C. is a full-service law firm with offices in Woodbridge and Chesterfield, New Jersey. Timothy J. Little, P.C. 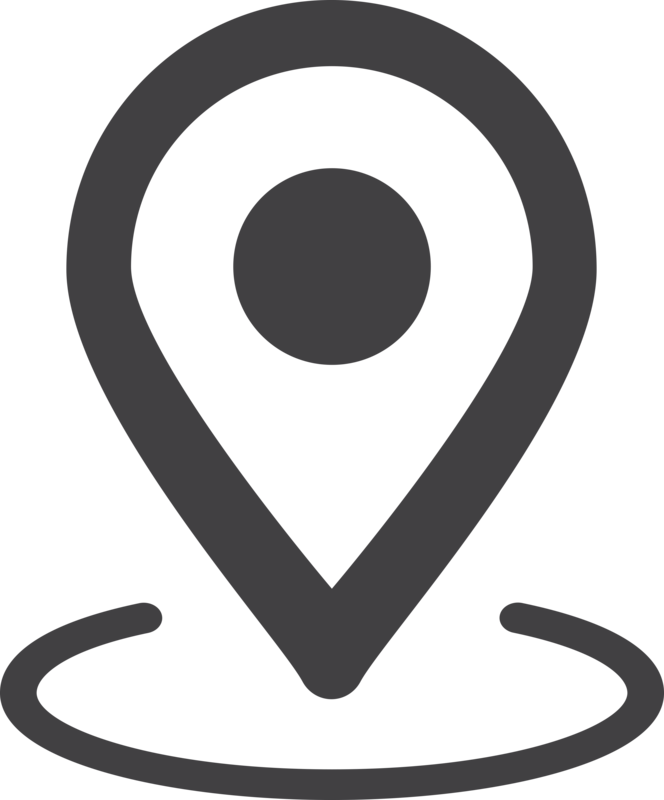 represents clients throughout New Jersey including Middlesex County (Old Bridge, Woodbridge, Sayreville, East Brunswick, Spotswood, Perth Amboy, Dunellen, Colonia, Sewaren, Iselin, Avenel, Fords, Keasbey, Menlo Park, Port Reading, South Amboy, Monroe Township, Edison, Carteret, Cranbury, Helmetta, South River, Milltown, Highland Park, Jamesburg, Laurence Harbor), Monmouth County (Aberdeen, Matawan, Hazlet, Holmdel, Cliffwood Beach, Keyport, Keansburg, Middletown, Lincroft, Manalapan, Englishtown, Marlboro, Howell, Freehold, Colts Neck, Rumson), Union County (Rahway, Elizabeth), Ocean County (Jackson, Brick, Point Pleasant, Toms River), Somerset County, and Burlington County (Chesterfield).